**in the photo above Mr Leonidas Kavakos, Greek violinist and conductor, has been named the winner of the Léonie Sonning MusicPrize 2017, musician of the year. 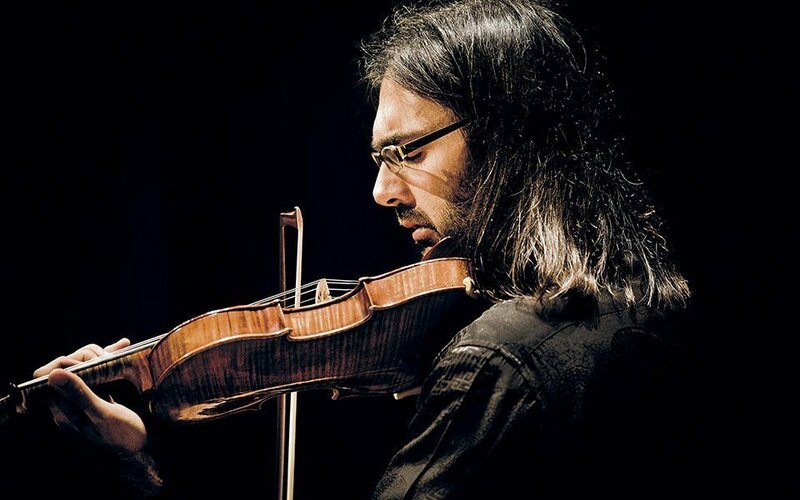 Kavakos now owns only the Abergavenny and three modern violins, including one by Florian Leonhard (as of September 4, 2010). Following the article we wrote on our visit to NS Workshop, is a list of traditional stringed instruments with a brief explanation. There are many more instruments than those indicated here, yet we find that these our more common in Epirus music. Photo taken from the 6th primary school of Ioannina. If you are a Greek Speaker click on the photo to read their great article on music! CLARINET: The klarino is the Greek clarinet, and it is the most popular lead melody instrument in the mainland regions of Greece. It is an Albert system clarinet which is an older, more primitive version of the clarinet now common in classical and popular music in most of Europe and America. The Albert system klarino has fewer keys and has a different tone than the modern clarinet. The Greek “klaritzides” also play the klarino with a different style and sound than that used by classical musicians in Europe and America. The klarino in the key of “C” (“do”) is a favorite of the old folk klaritzides. Before the klarino arrived in Greece (approximately 1830), the main instruments in the mainland of Greece were the double reed Karamoudzes and the Daouli drums. Variations of these instruments could be found in most regions from the north all the way to the south, and even on some of the islands. The Karamoudza is always accompanied by the daouli. This “pair” of instruments was called a “zygia” which comes from the word meaning a pair. Sometimes the Karamoudzes are played in pairs with one of the musicians playing a drone. This creates a similar sound to the drones used in the ancient Byzantine chanting style of the Greek Orthodox Church. Although the klarino, lavouto and violi type of “koumbania” tended to become more popular, in many areas the karamoudza type music has continued to be popular. VIOLIN: The violin has been a principal instrument for over 400 years. The first violin appeared in the 7th century and it had one string and a bow. It was introduced to the Europeans by the Arabs. Three strings were introduced in the 10th century; and four strings, the violins present form, were introduced in the 15th century. It is tuned in 5th g-d-a-e. The violin became very popular in Greece; its name was a general term for music. For instance, in old times, people would say, “Let’s go to the violins”, meaning “Let’s go for some music and dance.” Other names of the violin in various parts of Greece are Thioli, Diouli (Epirus & Aegina), Vgeloum (Chios), Vieli (Megisti), Ivgili (Siatista), Vgiali. The players of the violin were also called fiddlers (violitzides), avgiolitzides, vgihtzides. It has been claimed by many that the violin came originally from the Arabian single stringed instrument, Rebeck. The best violins manufactured in the world were the Stradivarius, Bertoletti, Amati, Stainer, Matias, Clauds. The most famous violin manufacturing center is the city of Mitenvald, in a valley of the Alps near the border of Austria. LUTE: This is a stringed instrument with a small body and a long neck. It measures approximately 96.5cm in length, and the body is 37crn in width. In particular, the length of the body is approximately 48cm; the length of the neck is 34.5cm, and the tuning head (karavolo) is 15-17cm. The width of the top is approximately 34.5cm, and the width of the sleeve (maniki) in the upper side is 4.5cm and 5.5cm in the lower side. The depth of the body (skafi) is 16cm. The top of the lute (kapaki) is made of Swedish white wood, without any knots, and the body of kelembeki leaves, of white color for the white lutes and of black color for the darker colored ones. The lute has 4 strings, a-g-d-c, which are tuned one octave higher than the other. The tasta are carved on the neck of the lute to produce the tones and the semitones. The lute is played with a plume (ftero). It is mainly an instrument of accompaniment, so it provides the tune of the song. There are different names for this instrument in various parts of Greece: Lavouto, Lagouto. Certain historians claim that the lute was introduced to Europe from the Spanish, who took it from the Arabs. Its name (laouto) comes from the two double strings that it had years ago, LA and OUT, that is c. There is also an 8-stringed lute (doubles d-a-f-c); and later on, more double strings were added at the lower g and the g at the higher side, that is g-d-a-fc-g.
DEFI (TAMBOURINE): While its name is Turkish, this instrument was called sistron in ancient Greece. In other parts of Greece today, the instrument is called daifes or dacheres (East Macedonia and Thrace), tsaboutsas (Cyprus), and agrana (Epirus). Its size varies from 20 to 40cm in diameter and it has two sides; one is open, and the other is closed with a membrane. There are two types of defi: a simple one with no cymbals, and one with 1-6 pairs of cymbals. The wooden part of the defi is call kansa. In our popular music, singers play the tambourine to keep the beat of the tune and to create a happy atmosphere. Here is a video with Takim, a modern “kompania” playing the traditional style of music with some of the instruments described above!